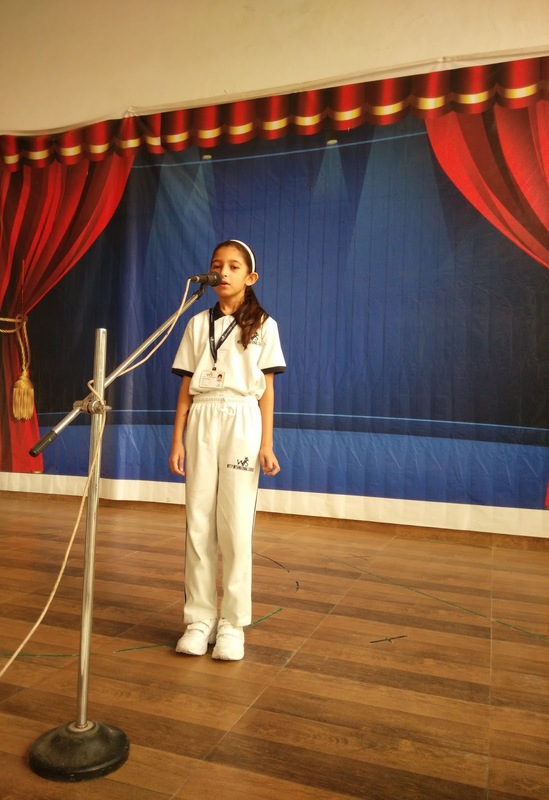 The English Poem Recitation Activity was organized at WIS on July25, 2016 wherein the students of Grade I To V participated with a lot of zeal and enthusiasm. Beauty is the realm of poetry. 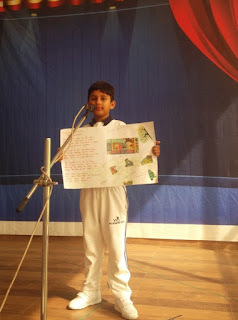 The activity was organized to explore the beauty of expression, thoughts, feelings, rhyme, rhythm and music of words. Taking all these factors into consideration the children got an opportunity to exhibit their talent and confidence. 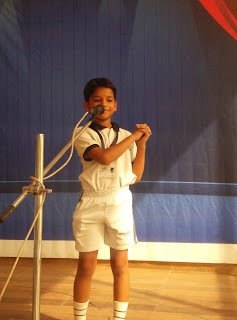 This activity was organized to explore speaking skills and develop confidence in children. 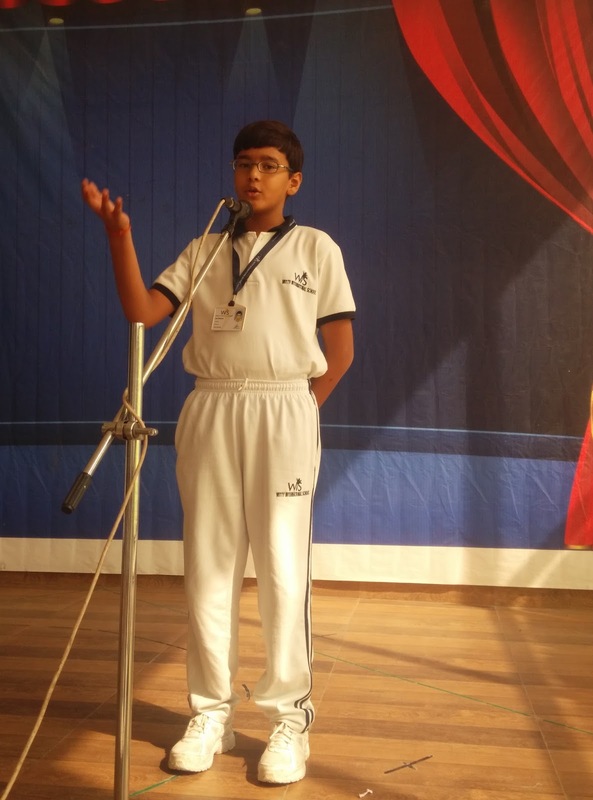 It inspired children to come forward and recite on stage. 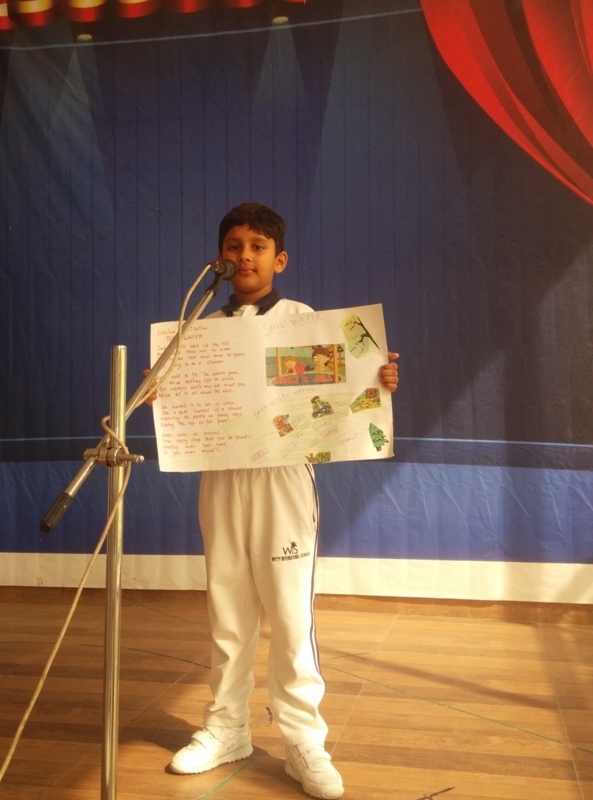 The children were given a variety of topics for their recitation like nature, trees, flower, mother, teacher etc.. The Principal Mrs. Shubha Govil appreciated and applauded the performance of the participants and the children enjoyed the activity.